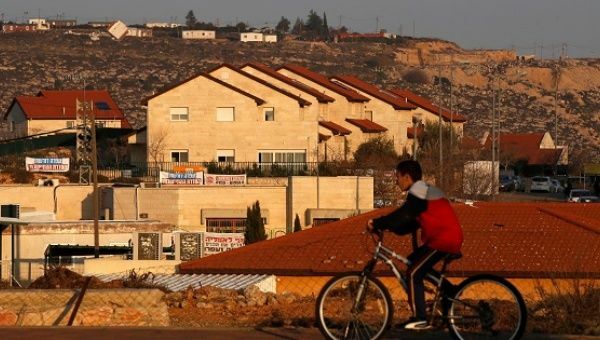 Israel passed a law Monday retroactively legalizing about 4,000 settler homes built on privately-owned Palestinian land in the occupied West Bank, a measure that human rights groups have called “theft” and one that would end any hopes for Palestinian statehood. The news came just hours after Israel conducted airstrikes in the Palestinian Gaza strip injuring at least two Palestinians, the first attack by Israel in months that results in casualties. Witnesses told Ma’an news agency that at least eight Israeli missiles were fired at several locations across the besieged Palestinian territory. Israel said it was responding to a rock thrown from the strip that landed in an open space and resulted in no damages or injuries. Under the new law, settlers could remain on the land if they built there without prior knowledge of Palestinian ownership or if homes were constructed at the state’s instruction. Palestinian owners would receive financial compensation. But its passage may only be largely symbolic as it violates Israeli Supreme Court rulings on property rights. Israel’s attorney general has said it is unconstitutional and that he will not defend it in front of the Supreme Court. Although the legislation, passed by a vote of 60 to 52, was backed by Prime Minister Benjamin Netanyahu’s right-wing coalition, political sources have told news outlets that Netanyahu privately opposed the bill over concerns it could provide grounds for prosecution by the International Criminal Court in the Hague. But the far-right Jewish Home party, a member of the coalition looking to draw voters from the traditional base of Netanyahu’s right-wing Likud party, pushed for the legislation after the forced evacuation of 330 settlers last week from an outpost built on private Palestinian land. With Netanyahu under police investigation on suspicion of abuse of office, Likud has been losing in opinion polls, therefore Netanyahu did not stand in the way of the vote because he did not want to alienate his supporters and boost Jewish Home’s base. The group said that the passage of the law just weeks after the U.N. Security Council passed a resolution calling for the halt of settlement building was a “slap in the face” to the international community by Israel. Hezbollah has warned that any such war between the two would end in a “guaranteed loss” for the Israeli regime. Just days after Lebanon celebrated the 17th anniversary of its Resistance and Liberation Day, when southern Lebanon was freed from Israeli occupation thanks to the efforts of Lebanese resistance movement Hezbollah, the Israeli army announced the creation of a new training facility — a mock Lebanese village — in case of war with the Shia resistance group. The Snir facility, being built in the Israeli-occupied Golan Heights, will have multiple entry points, a mock Hezbollah command and control headquarters, residential buildings, mosques, and public buildings, Press TV reported. “(Snir) is a Lebanese village, showing the Lebanese challenge, which is growing greater; showing the Lebanese enemy (Hezbollah), which is developing. 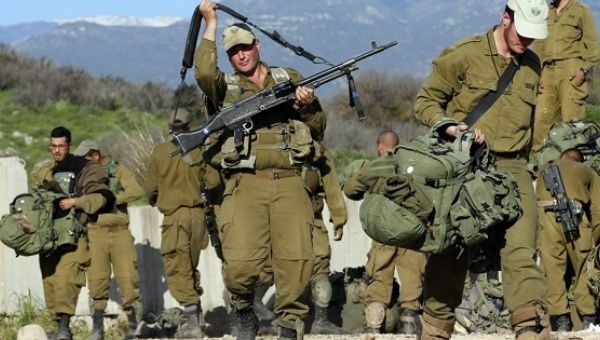 In the village, there are people acting as enemy fighters, who are very close to the types of threats that we expect from Hezbollah in the next round,” Brigadier General Einav Shalev, commander of the Army’s Ground Forces Division said. “We’re studying (Hezbollah’s tactics) closely. We’re preparing troops to dress like Hezbollah, to act like Hezbollah, to think like Hezbollah,” he added. The army plans to finish the construction of the center, being built by German construction engineering company M+W Group, by the end of next year, with three similar facilities in the coming years. “We have nothing like this in the State of Israel,” the senior Israeli Defense Forces (IDF) officer said, adding that the center will become its most advanced urban combat training center. Back in February, Israeli Intelligence Minister Yisrael Katz threatened Lebanon by saying the entire country would be a target if Hezbollah fired on the occupied territories. Lebanese President Michel Aoun responded by saying that any Israeli attempt to violate Lebanon’s sovereignty would be met with the “appropriate response,” Press TV reported. Naim Qassem, Hezbollah’s deputy leader, also stated in defiance last month that the resistance movement’s high level of defense readiness has thus far deterred Israel from launching a new act of aggression against the country. He warned that any such war between the two would end in a “guaranteed loss” for the Israeli regime.